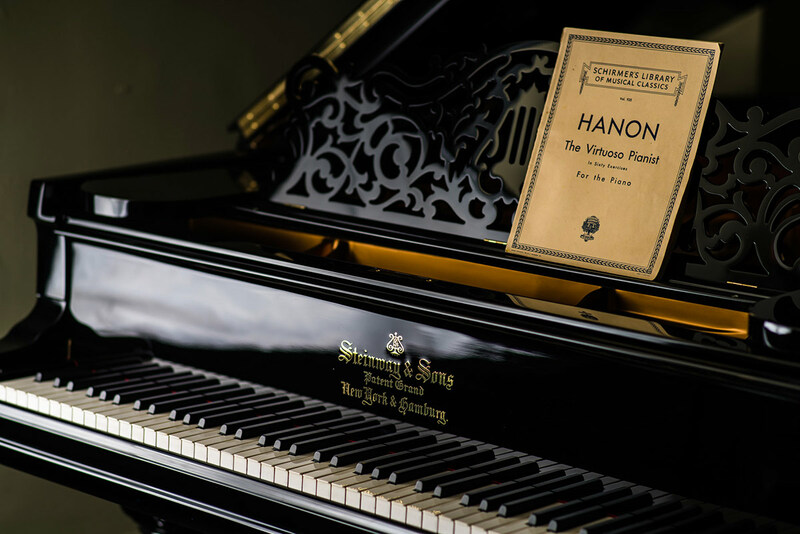 Restoring a Steinway piano offers an excellent return for investment, adding value to the piano and breathing life into an instrument which might have been neglected. Our expert team bring years of experience and training to every restoration, using genuine Renner parts and the finest quality materials. We are very fortunate to have a busy on-site workshop here at the Piano Shop Bath and the restoration of Steinway pianos forms a large part of the work that comes through to our technicians. 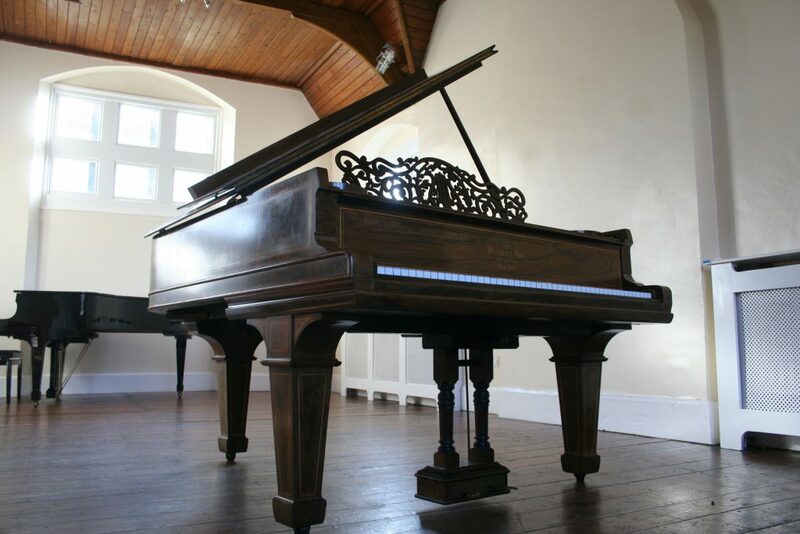 The workshop is currently working on a Steinway model K, which was built in the 1920s. Steinway pianos have always been handmade to an extremely high standard, so that old instruments like this model K will often be structurally sound and replacing old parts will dramatically improve the performance of the piano. In this photo we can see the key bushings have been replaced with new bushing cloth. 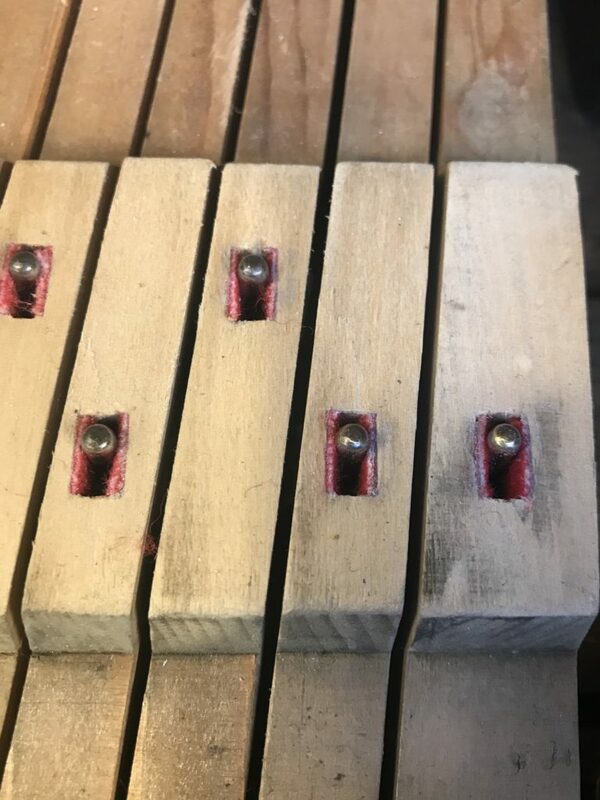 The key bushing is directly involved in the continual movement of a piano key, so despite its small size, it plays a huge part in the overall feel of your piano’s key action. Over time, key bushings can be badly worn and often need to be replaced so that the keys fit comfortably on the balance rail. Re-bushing a set of keys can considerably improve the touch and feel of a piano, potentially giving greater response and performance. You can find out more about our restoration services by watching this video and also having a look at our webpage.